Wednesday August 22, 2012. 6:30 pm-8:00 pm. Wednesday September 19, 2012. 6:30 pm-8:00 pm. Are you a fluent Spanish speaker? 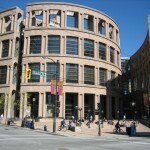 Please join Vancouver Public Library’s first ever Spanish language book club! Read A Orillas del Rio Piedra me senté y lloré and Cuentos de amor, de locura y de muerte, two thought-provoking books and then meet to share your thoughts and opinions in Spanish. VPL launches the Light and Shadows book club with two South American writers, Paulo Coelho and Horacio Quiroga. Coelho’s fable about opening your heart to miracles and Quiroga’s tales of love, madness and death will bring us to their disconcerting worlds of light and shadows.